Research in Motion’s BlackBerry Bold 9900 is probably one of the company’s finest smartphone in recent years. Although its look may not be as bold as expected and its operating system, the OS7 might be the last of the series before RIM moves on to the QNX platform, the 9900 has a lot going for it. Snapdragon processor from Qualcomm that leaves the processors in previous generations of BlackBerrys in the dust. The OS7 actually provides a better user experience than older versions of the operating system and the touchscreen works well with the BlackBerry 7 browser. But to truly enjoy the phone you need to have the apps. Evernote – Never have another senior moment. Store your notes and ideas in an Evernote snapshot or file. 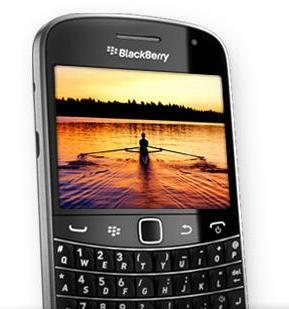 The app instantly synchronizes from your BlackBerry Bold 9900 to the Web and to your Windows or Mac computer. Whenever you need them, your notes are within easy reach in your Evernote snapshot. Dropbox – Dropbox let’s upload large files to the cloud and then sync them to your computer and your smartphone. You also have the option to make the files available to your co-workers. Twitter for BlackBerry – This app lets you receive a notification as soon as a message arrives no matter which application you are using. The message itself is delivered directly to you inbox. The app also works with your BlackBerry Browser and BlackBerry camera enabling you to upload photos directly to Twitter. You can also follow friends, search topics, edit re-tweets and find other users. WhatsApp Messenger – The BlackBerry Messenger is great for getting in touch with your BBM contacts but it’s useless for contacting friends using other mobile phones. Enter WhatsApp Messenger, an app that lets BlackBerry users communicate with people using iPhone, Android and Symbian devices. BlackBerry Travel – Plan you trips, find flight schedules, book hotel and share your travel activities. The app’s automatic trip scanning feature recognizes itineraries that are emailed to you and push them to your BlackBerry. The app identifies gaps such as hotel bookings that end earlier than they should, and make recommendations to you right from your BlackBerry. Wikitude – Find out more about your surroundings with this augmented reality app. Wikitude makes good use of your BlackBerry’s camera. Simply hold up your phone camera and watch information such as events, ATMs, restaurants, user reviews, Wikipedia articles, tweets and BBM contacts pop up on your screen. Poynt – On a business trip and don’t know much about the place you landed on? Poynt opens up the local community by using GPS or cell-site location to deliver information to help you find restaurants, movies, businesses, retailers and directions. Google Maps – Not happy with BlackBerry Maps? Download the Google Maps version for BlackBerry phones. BlackBerry Traffic –Always arrive on time with this free app that helps you plan you road trip. The apps use your BlackBerry 9900’s GPS tool to help you establish an estimated time of arrival to your destination, find out if a road is closed and map out an alternate route. The app syncs with your BlackBerry contact list and lets you email or text your ETA to your friends.